Summer may be over, but the perfect time to get outside and enjoy the fresh air and beautiful views is just beginning. Autumn has arrived in Cambridge, and with it – new sights, smells and wonderful things to do. 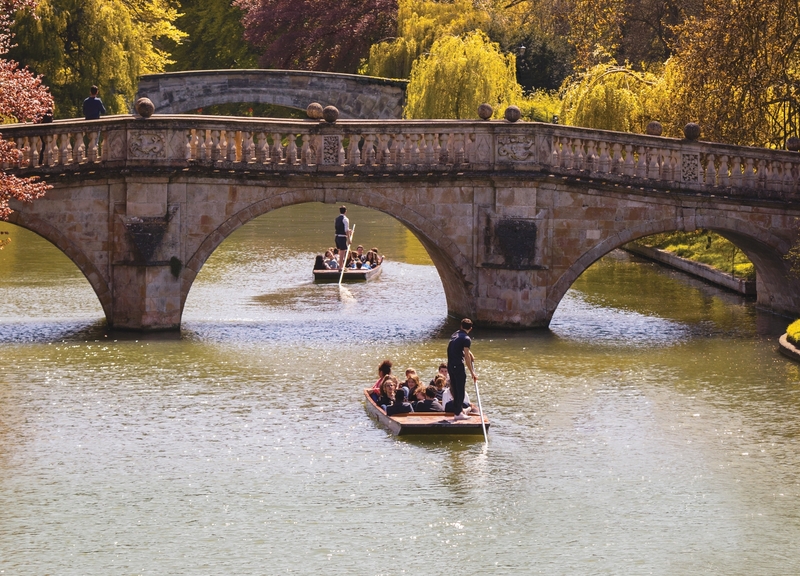 One of the best ways to explore Cambridge is via the famous River Cam. The river offers views that are inaccessible any other way, and this particular time of year grants us some of the most beautiful spectacles. Come and wrap up warm with our cosy blankets on one of our chauffeured river tours, and admire the glorious colours of the trees silhouetted against the never changing College Backs. 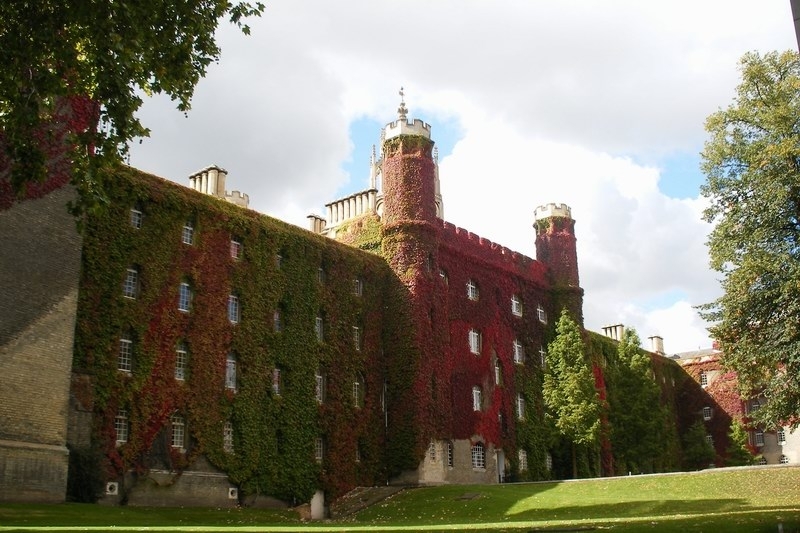 A particular sight that must be seen during this season is the Virginia Creeper that completely blankets the northern face of New Court, St John’s College as it is at this time that the leaves turn from their usual green to a brilliantly fiery red. 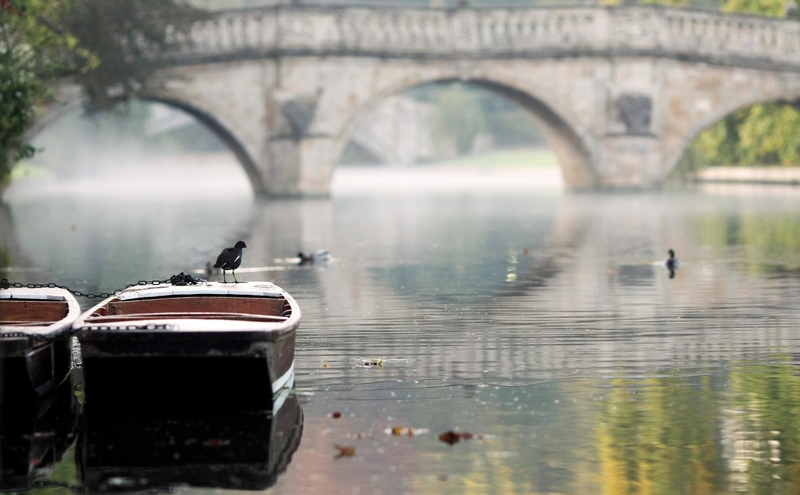 Compared to the crazy frolics of the summer months, October offers a new perspective of the river - one of peace and tranquillity as you float serenely through the Colleges. One of our favourite things to do is to look up through the branches of the newly shedding trees as we pass through the carpet of brightly coloured leaves covering the water. Perhaps you could bring along a flask of Hot Chocolate or Mulled Wine for the ride? Have you captured any autumn scenes on the river? We would love to see them! Feel free to Instagram or Facebook us your snapshots.